Yellowbird is having a colouring contest! Look for a copy of the picture in your December edition of the Community Views newspaper, or download one here. 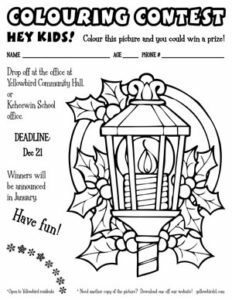 You can hand in your finished picture at the Yellowbird Hall office, or at the Keheewin School office. Winners from each age group will receive a prize in January!